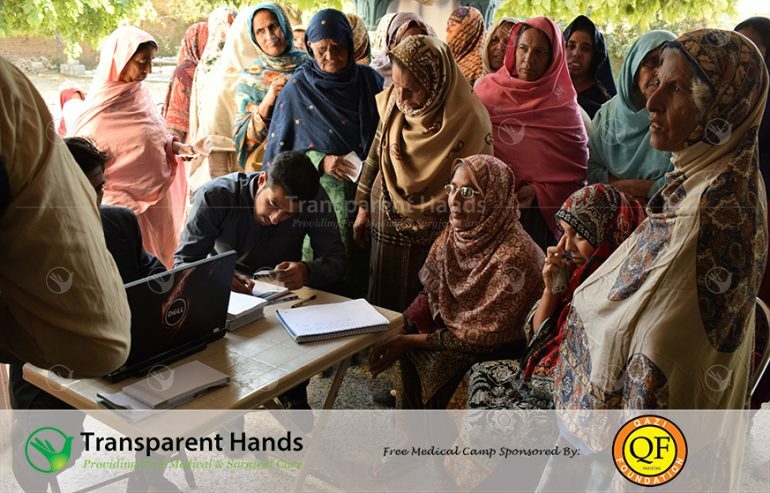 Transparent Hands organized a free medical camp on 30th November, 2018 at Chaudhary Asif Dera, Dheedwal Village, Chakwal. 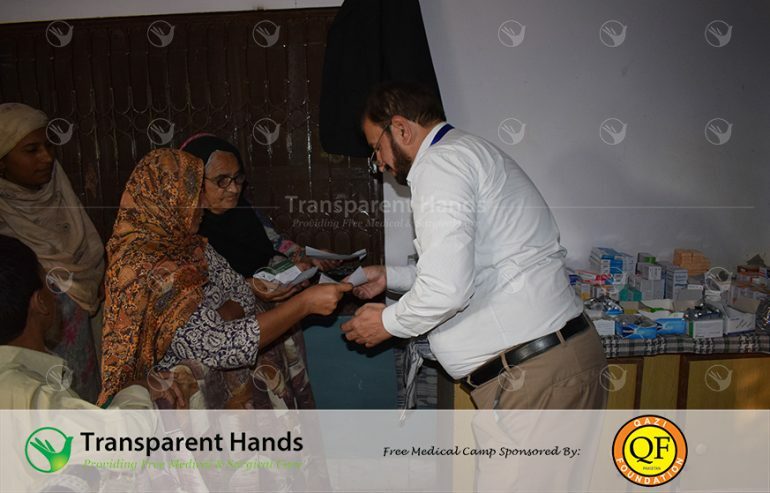 The camp was organized by Transparent Hands with the collaboration of Qazi Foundation Pakistan. 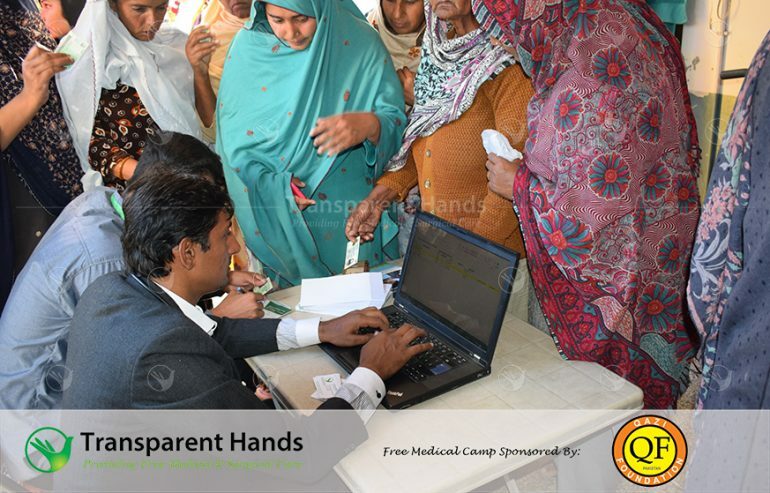 In this medical camp, 465 patients were checked free of cost. They were also given free medicines as prescribed by doctors. In the camp, blood sugar, Hepatitis B&C screening tests and ultrasound test facility were also performed free for the patients. Out of 465 patients, 109 patients’ HCV and HBsAg tests were performed free of cost. Among them, we found 12 HCV positive cases. 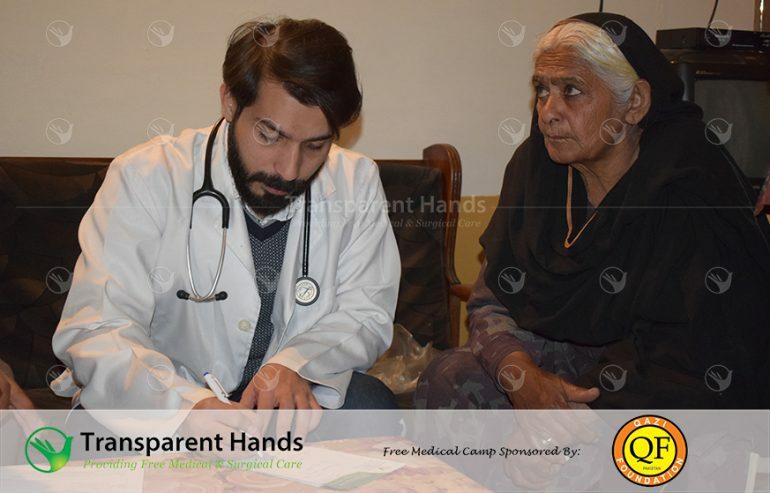 In the camp, 8 surgical cases were also found and they were pre-registered with Transparent Hands for surgery. These cases include; 1 case of Renal Stones, 1 case of Chest Lipoma, 1 case of Nasopharyngeal Mass, 2 cases of Cholilithisis, 1 case of Lymph Node Enlargement and 2 cases of Goiter. We also found 2 beridden patients (one with stroke and other with paraplegia). They were checked and advised to use medical air mattresses for comfort and enhanced circulation by Consultant Surgeon. 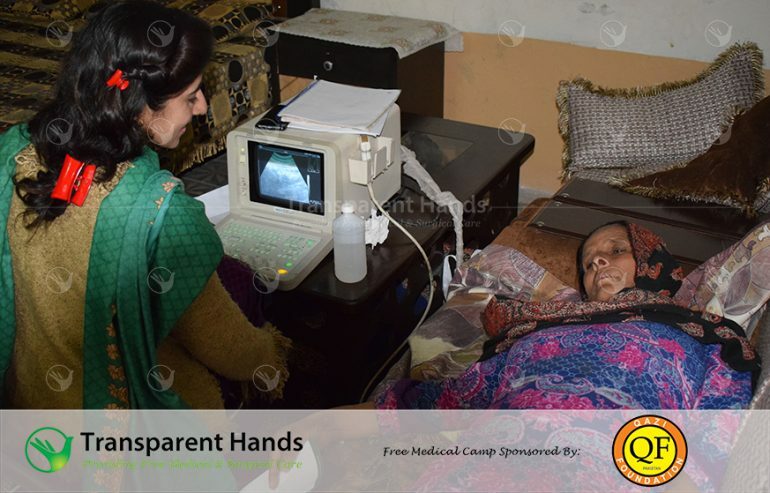 Furthermore, Qazi Foundation Pakistan arranged a Radiologist who conducted ultrasound of 100 patients free of cost. 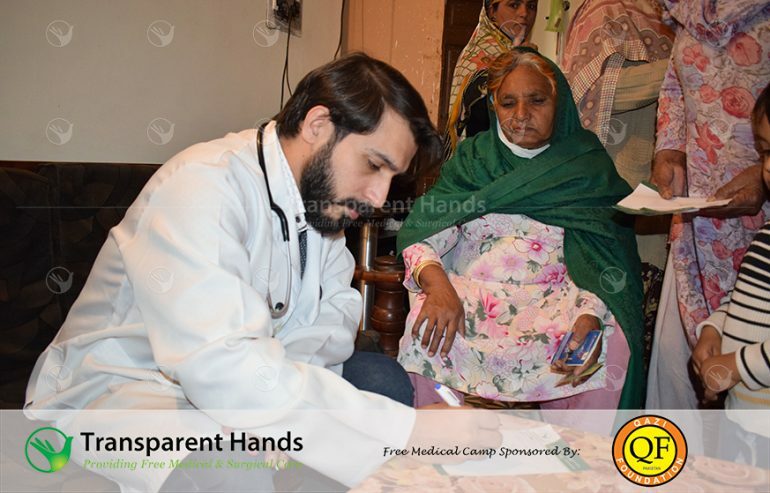 Benazir Income Support Programme also participated in the medical camp and referred poor and needy patient who required medical treatment. 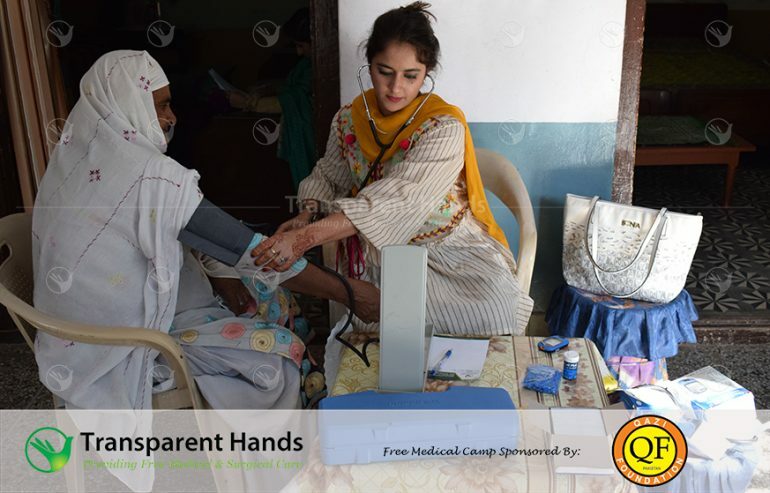 In this medical camp, we found out that most of the patients were suffering from various diseases including skin allergy, chest infection, muscular & joints pain, seasonal fever & flu, high blood sugar levels, gastrointestinal diseases and many more. 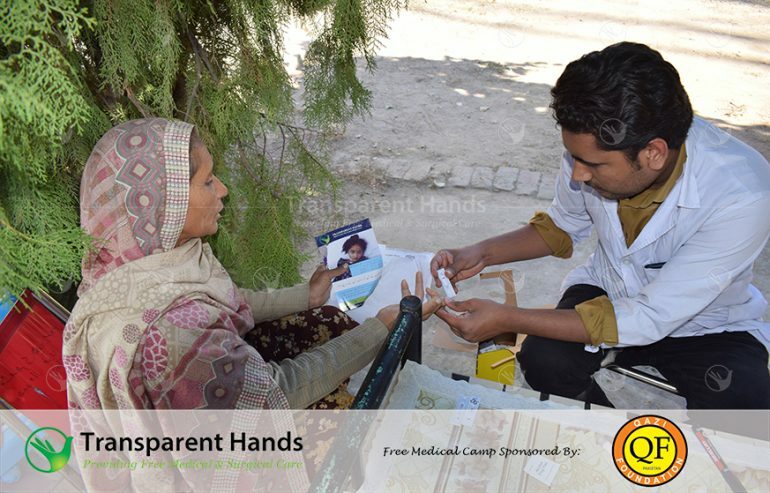 Transparent Hands team comprising of 13 members managed this medical camp successfully. 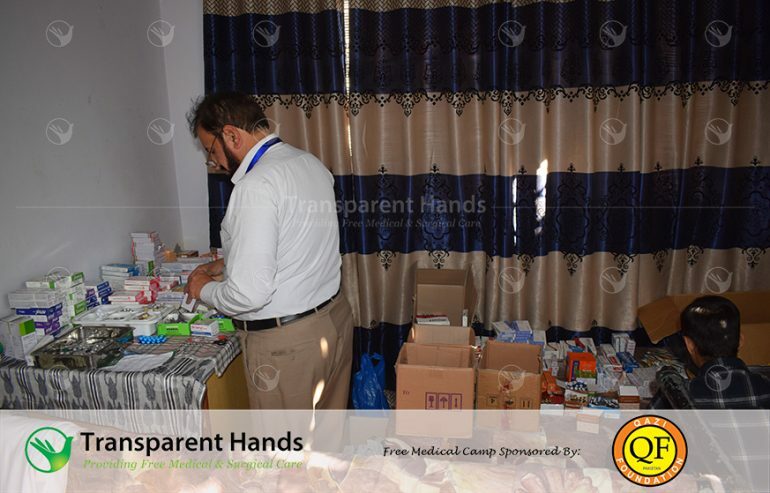 Team included 3 doctors, 2 pharmacists / dispensers, 4 phlebotomists, 1 supervisor, 1 photographer and 2 patient registration persons. 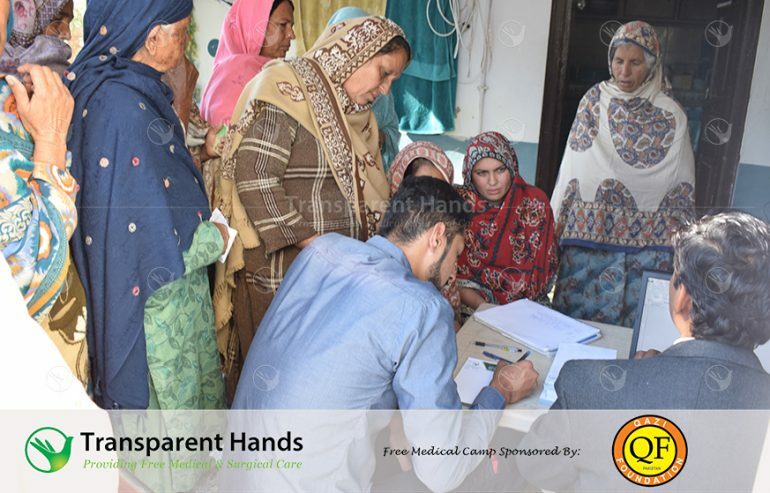 The camp has successfully created an impact in the lives of 465 patients of Dheedwal and surrounding areas. 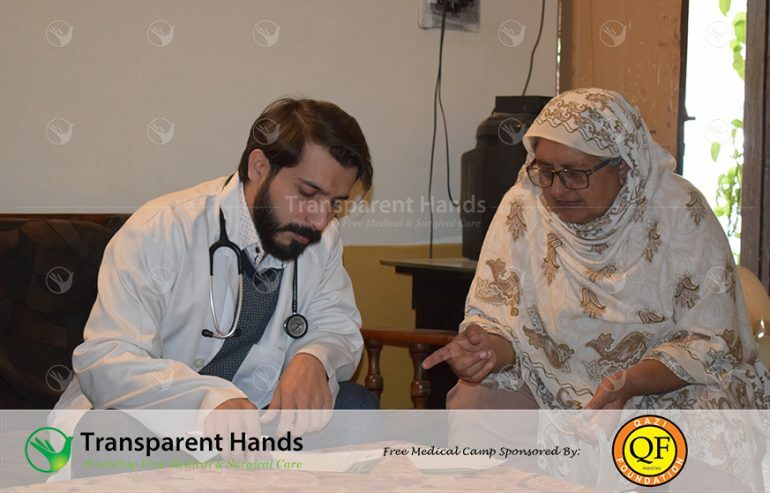 We look forward to organizing many such camps to facilitate the poor and deserving patients of Pakistan.